During the fall and winter, my family cannot get enough comfort food. From hearty soups, stews and casseroles to hot drinks to warm your bones, we crave recipes that are hot and filling. 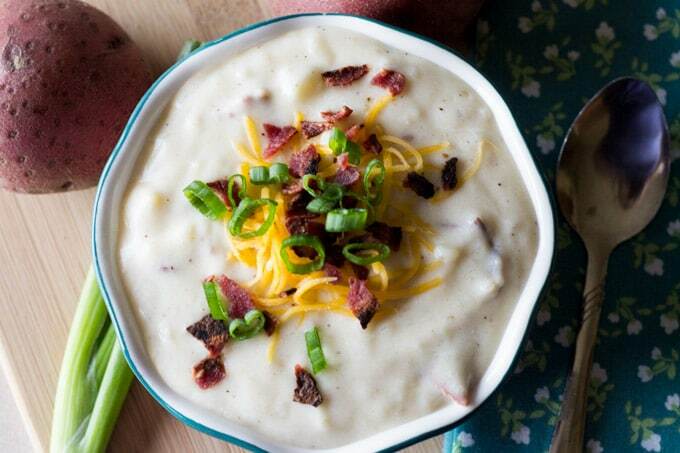 This Baked Potato Soup Recipe definitely fits the bill. It’s made with simple ingredients you probably have on hand already, and if you don’t, planning your shopping list is super easy with the Food Lion mobile app. 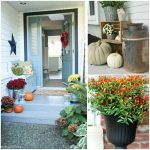 The leaves on the trees are finally starting to turn colors now, so it’s my favorite time of year. As I cook, I look out the kitchen window to see trees with spots of red, orange and yellow. When the wind blows, they go flying through the air. What could be better on days like these than a bowl of steaming hot soup to warm you up when you’ve been outside in the chilly weather? Even as a kid, I loved soup. Unfortunately, that trait hasn’t been passed down to my son. In fact, the only soup he’ll eat is this potato soup. 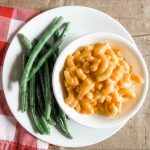 There’s something about the cheesy, starchy, rich flavor that no one can resist! Now, I do have to warn you that this soup cooks up super thick. If you like a thinner potato soup, I’d add about 2 more cups of milk. Alternatively, you can add a little milk whenever you warm up your portion (because there will be plenty of leftovers — this makes a huge batch). Want to make shopping for the ingredients for this soup super simple? Use the Food Lion mobile app to add the ingredients! Creating your shopping list has never been easier. Trust me, when I try to do it myself, it’s usually a disaster. I always forget something. 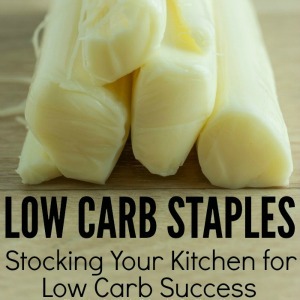 But you can browse the weekly flyer, delicious recipes, and the coupons to add items to your shopping list. You can also add items manually. It saves so much time because you’ll also find the aisle number where the product is located in the store. And… bonus… I don’t even have to remember to bring my MVP card because it’s saved right there in the app! I just scan my phone at the register to get the savings. 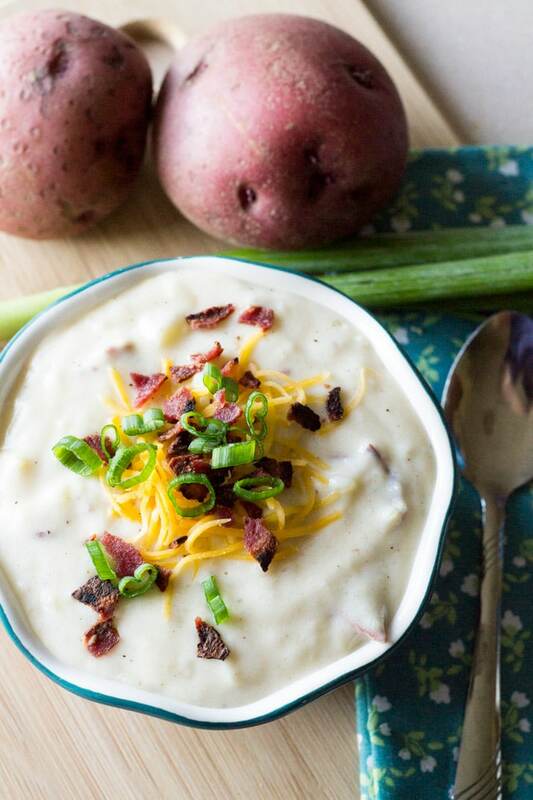 So, here are the ingredients and instructions for this hot and hearty Baked Potato Soup. And if you’re ever stuck for recipe ideas, browse the recipes in the app to have a plan for dinner in a pinch! 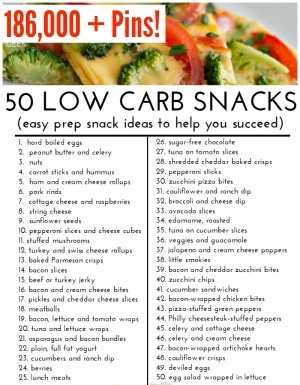 You can add the ingredients from the recipes straight to your shopping list. 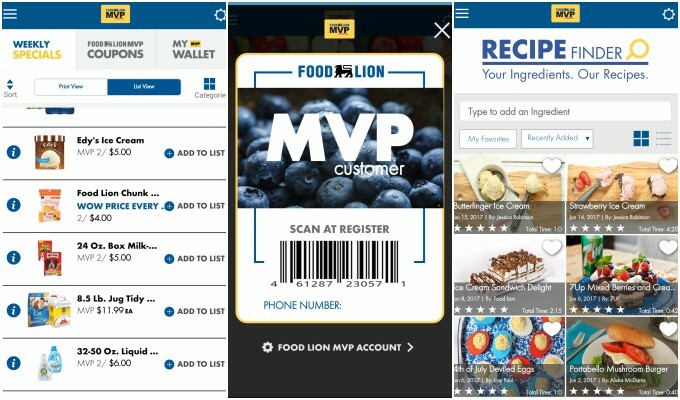 Get the app: Food Lion Mobile App – iTunes or Food Lion Mobile App – Google Play. Bake potatoes at 400 degrees Fahrenheit for 1 hour or until tender. Let cool. Scoop out pulp and set aside. Melt butter over low heat. Add flour; stir until smooth. Cook 1 minute, stirring constantly. Gradually stir in milk. Cook over medium heat, stirring constantly until mixture is thick and bubbly. Add potatoes, salt, pepper, half of the green onions, half of the bacon and 1 cup of cheese. Cook until heated through. Stir in sour cream. Garnish with remaining bacon, green onions, and shredded cheese. 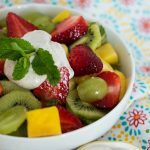 Get more yummy recipes on the Fresh Ideas Blog! 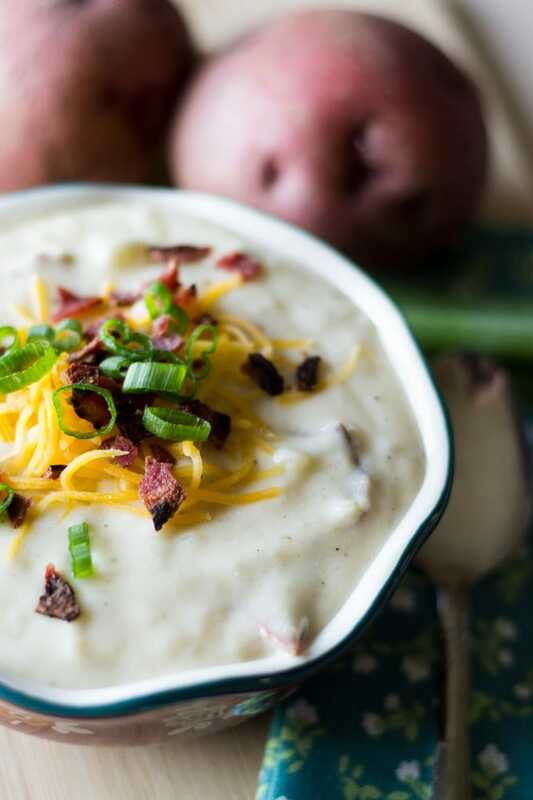 This hearty baked potato soup will warm you up on a cold, blustery day. 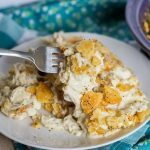 It's chock full of potatoes, bacon, cheese and sour cream for a hearty meal!